Does anyone remember the big old travel trunks of yesteryear? You know the kind seen in old movies when people would travel by boat or train or maybe even by horse and carriage. I remember images of people packing up travel trunks with all of their clothes and goods that would be needed for lengthy vacations. I would always wonder if the kids got there own mini-trunks to put their clothes in or were their things stowed away with their parents. I guess you can say the site of travel trunks always fascinated me. What was inside of them? Where have they been? Every once in a while I come across one at an estate or garage sale and I still have these wonderings. It is the Doll Storage Trunk and Bed made available from The Queen’s Treasures. Well not the actual Queen of England but from the website called The Queen’s Treasures.com. They sell this really cute and durable doll storage trunk that has many of the same qualities of those old time travel trunks. This one however is not made for clothes but made for dolls up to 18” inches tall. The quality of the trunk is good and sturdy. It is made of wood and it is decorated very nicely. When you open up the trunk there is a spot for a doll to be stored safely. Across from this is a pull down Murphy bed that opens up when you have reached your travel destination. The other side of the trunk turns into a closet with hanging rod and hangers for your dolls clothing. The whole set up is really cute and would be a great gift for any young girl. However it looks like my daughter will be the first one to travel soon with her doll. 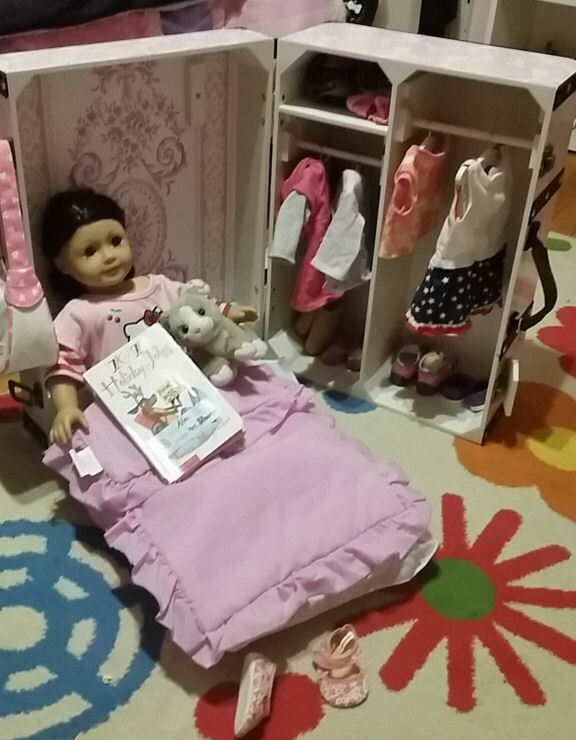 She has already set up the inside of the Doll Storage Trunk by making the bed and hanging up her doll clothes. We’re just waiting for that horse and carriage to pick us up for next journey. Disclosure: I received the sample of the product mentioned above to facilitate this post. Thanks to The Queens Treasures, I want to offer you a chance to win this piece of furniture. One 1 lucky I Love My Kids Blog reader will win the Doll Storage Trunk & Bed for your little one. Giveaway open to U.S. residents only. (We are unable to ship to winners outside the U.S.) Enter through 3/31. 18+ years old. Winner will be chosen randomly by 4/02 and be notified by email. The winner has 48 hours to respond, or a new winner will be chosen, and so on and so forth. The prize will be fulfilled by the sponsor. I LOVE it!I would give it to my granddaughter KADENCE! I’VE NEVER SEEN A DOLL TRUNK THAT BIG. IT’S AWESOME! I would love to win this for my daughter. I am in love with the Doughnut Girl accessories and dress and the vintage sewing machine and stove! My daughter would LOVE this to put some of her dolls in!.. My daughter would love this for her dolls! I love the Doll Storage Trunk & Bed. I also like the 1930’s American Style Stove. My granddaughter Colbie Jean has a birthday coming up. If I win she will get as a birthday present. I really like the idea that this trunk can hold all the dress clothes and a bed for the doll. This is adorable. My daughter Dylan will love it! Thank you so much for the chance. Oh this brings back memories. When I was younger my mom gave me an old trunk to put all of my Barbies and their clothes in. I would love for my daughter to have the same memories and have her own trunk. I have two little girls who would LOVE IT! Such a cute idea! 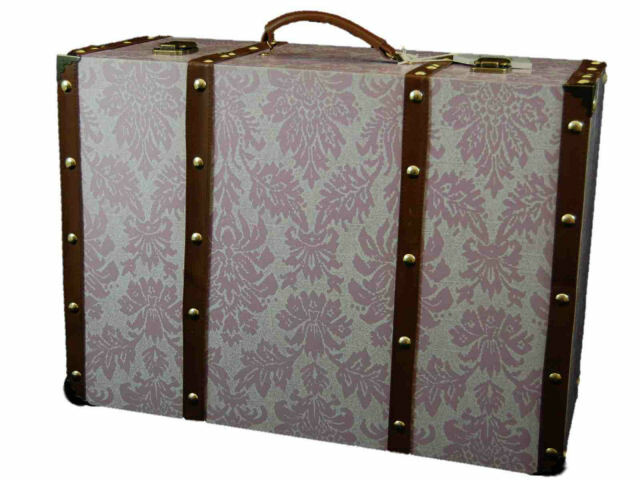 I love this trunk but it is out of our price range for now – maybe for next Christmas if I don’t win it. Dd would LOVE this! I think its awesome. Any little girl would love this! Good luck all! My 5 year old would love this. I love dolls, collecting them and teaching my niece how to take care of them, but most importantly preparing to teach a little one myself about collecting and fixing, or rescuing dolls. Most importantly, having where to store them for their safe keeping is a crucial thing, so that they can be gently played with and preserved, so thank you very much for the opportunity, I have already a doll that would be ideal for this case. Crossing fingers. I think this trunk is awesome! The pattern is beautiful, and it reminds me of a case I had when I was little. I know that my daughter would love it! Thank you for the giveaway!! My daughter would be beside herself if this came home to her. Kit would fit in it perfectly! The Doll Storage Trunk & Bed is just the cutest thing. I have 2 granddaughters that would just love playing with it. I love the Salvation Army WWI “Doughnut Girl” Accessory Set!!! This trunk would be for my granddaughter. I love the 2 tier serving tray. I have 4 granddaughters and a niece, so it would be really hard to decide whom to give it to. I’ve been really impressed with The Queen’s Treasures. I own their treadle sewing machine for dolls and it is amazing! That old fashioned STOVE.. what girl would not be in sheer delight to get that? SO fab! I have a little boy here who is NOT into the dolls, but LOVES the tiny accessories! He thinks how cool this stuff is. I think it’s good. I want to win it for my granddaughter. I love your highest quality doll furniture! My grandaugter would receive this if won! I <3 the sewing machine too! When I was a child Santa brought me a doll & trunk set very similar to this one. I loved it. This blog brings back wonderful memories for me. My grand-daughter, Eva, would love this. She has begun collecting 18″ dolls and loves them. my daughter would love this! and she would be able to enjoy it for years. she has just recently fallen in love with the 18in doll/friends. what a wonderful accessory! I love it and my daughter would be enjoying this if i won . I love the trunk and how it turns into a bed. I would love to win this for my granddaughter, Nellie. It would also be nice to have the Farmhouse Table and Chairs set. My daughters would both love this! My granddaughter, Nellie will enjoy this trunk if I win. After watching the video (Victoria did a great job! ), I know that my 2 granddaughters (sisters aged 4 & 9) would love to play with this doll storage, trunk, wardrobe & bed. Their Mom would love how neatly everything stores away. I absolutely LOVE this! I would love to win this for my granddaughter Kylie Rose. She loves her dolls, and she would just be over joyed to have something like this for her babies! I love the American Victorian Fainting Couch Sofa, Furniture. My daughter loves to play with her dolls and she would love this for her doll house. My granddaughter would treasure this doll furniture. 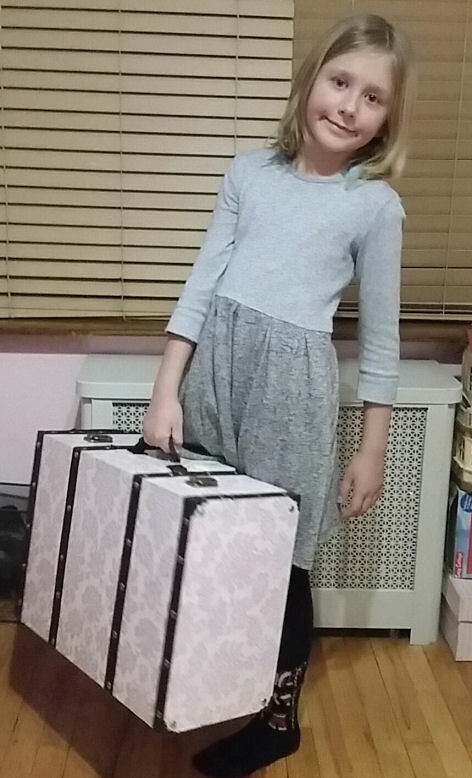 The trunk is the perfect size for a young girl to carry with her. I would be getting it for our gran daughter. I will be keeping this trunk for myself to store some of my childhood dolls! my daughter’s been wanting a little bed for her dolls. so this would be perfect. she LOVES her dolls. This would be perfect for my granddaughter to take with her to her Oncologist visits!It is a 21/2 hour drive 1 way! I would give this to my little sister for her birthday! She would love this! Victorian Trundle Dreamy Daybed Doll Bed. I would like to win this for my granddaughter and her American Girl doll. It would be a great way to keep things organized and easy to transport. I adore the Antique Rose Pattern, Fine China Children’s Princess Tea Party Set. My niece would have a ball with that! I think this is absolutely adorable! Too cute! And I would give it my daughter’s, ages 4 and 6! My 6yr old daughter would be so in love with this, she has been asking for one. I would love to win this for my daughter. Her birthday is coming soon!! Awesome prize would like to win. my daughter is just now getting into playing seriously with dolls she would absolutely adore this. It wold probably go everywhere except school and church but I’m sure she would try to take to these places also. My grand daughter Kailee would just love this. She loves playing with dolls and this would be perfect for her. I love the doll storage trunk. I like that it is both a doll’s bedroom and storage. If I won, I would give it to my granddaughter. absolutely love this trunk, what an awesome giveaway! My daughter would love this. She is turning 4 soon and I would probably give it to her for her birthday. I am giving her my doll from when I was a little girl. My little girl would really enjoy this! She loves her dolls, but she doesn’t have any thing to store her doll in or the doll’s clothes. I think she would also love having a bed for her doll too! My daughter and her friends are completely in the doll stage right now! They take them to dance, to friends houses, everywhere! This would be so great to give to her for her to keep her doll in!